I just had one of those extreme panic moments. 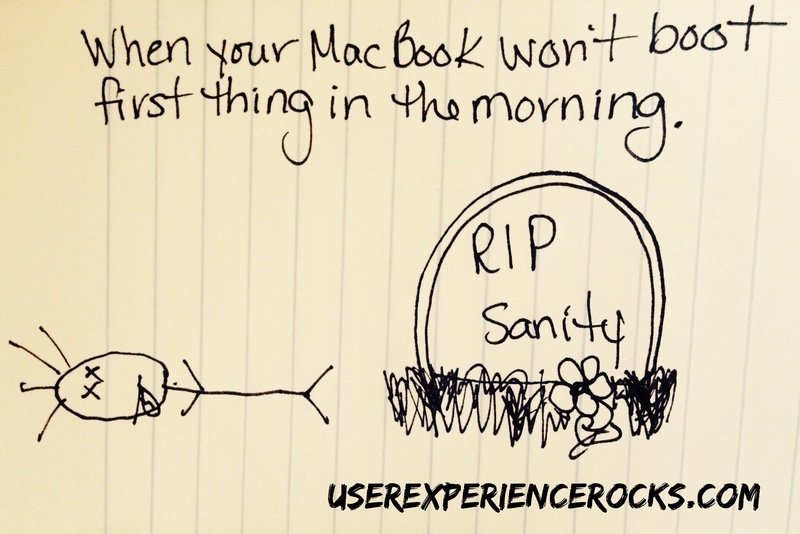 I grabbed my morning cup of coffee, hit the power button on my Mac… and it spun and spun and spun and spun… and didn’t boot. Thank goodness for Dropbox or I probably would have had a coronary on the spot. I legit felt like someone had sawed off my right arm. I wound up having to steal my daughter’s Windows 8 machine for about an hour… and I after using it for about 10 minutes I wanted to die. I didn’t really realize how deeply immersed in Apple land I am, until I tried to actually get work done in a Windows 8 environment. I am happy to report that after some doctoring my beloved MacBook Pro has returned to its fully functioning happy self, but holy adrenaline rush first thing in the morning.